Hello! My name is Stevie and I am a second-year law student at California Western School of Law. I attended San Diego State University and graduated with a degree in Economics. I first learned about the Innocence Network from the Netflix documentary series Making a Murderer. I decided, then, that I would contribute to the organization in any way that I could. When I found out that the California Innocence Project is based out of California Western School of Law—a law school in my hometown of San Diego, California—my choice became clear: I enrolled at California Western and am honored to have been chosen as a Clinical Intern for the 2018–2019 term. Please donate to help further the innocence movement! Hello, my name is Colton and I am a second-year law student at California Western School of Law. I attended Fresno State University and graduated with a degree in Philosophy with a pre-law option. My interest for law first started when I was in high school and I read To Kill a Mockingbird. Since then I have had a passion to help those who have been left behind by the criminal justice system. The reason that I decided to attend California Western School of Law is because I wanted to work with the California Innocence Project. Now I am honored to work with the Project and help them accomplish their goals. Please donate, so you too can help the wrongfully convicted! Thank you! Hello! 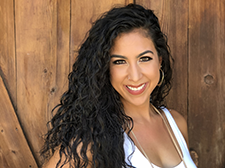 My name is Chelsea Cuellar and I am a second-year law student at California Western School of Law. I attended the University of San Diego and graduated with a degree in English. My passion for law occurred in middle school from constantly watching shows like Law and Order and Judge Judy. My interest only grew into wanting to become a lawyer in order to help others and contribute to my community. The reason that I decided to attend California Western School of Law is because of the California Innocence Project. I wanted to join an organization I believed in 100%. I am honored to be apart of the Project as a Clinical Intern and help them in their mission to help those who have been wrongfully convicted. Please donate in order to help further the mission to help the innocent. Thank You! Hi! 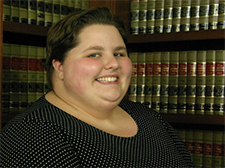 My name is Camille and I am a second-year law student at California Western School of Law. I graduated from the University of North Carolina in Charlotte with a major in Criminal Justice and a minor in English. From a very young age, I knew I wanted to be an attorney. I became interested in criminal law during Junior High because I read a lot of books about crime. In college, I did a presentation about Justin Brooks and the start of the Innocence Project and that’s when I knew I had to be involved in innocence work one day. Interning for the California Innocence Project is an invaluable opportunity to gain hands-on experience and learn about criminal defense from some of the best attorneys in San Diego. There is nothing more gratifying than to know our work brings hope to so many wrongfully convicted individuals and that we can actually make a real difference in some of their lives. Hello! I’m Taylor. I grew up in a small, rural town in Northern California called Cottonwood –about two hours north of Sacramento and two hours south of Oregon. I attended San Francisco State University as a Presidential Scholar and received two Bachelor’s Degrees: one in Criminal Justice and one in Communication Studies. For as long as I can remember, I wanted to be an attorney, so badly that, at seven years old, I practiced interviewing witnesses in hypothetical cases using a tape recorder and I made myself a homemade, bar card using my class photo. My upbringing, penchant for strong agents of change like Erin Brockovich, and early experiences with the legal system instilled my passion for equality and justice, for everyone. One of my motivations to attend California Western School of Law was the California Innocence Project and the passion I have for protecting the legal rights of others. As a Clinical Intern, I hope to further my passion for freeing the wrongly incarcerated and help change criminal justice policies that make it easier for innocent people to be convicted in the first place. Hi! 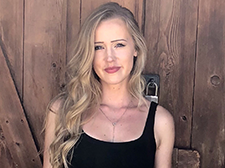 My name is Summer and I am a second-year law student at California Western School of Law. My passion for the law has allowed me to work for Lt. Governor Gavin Newsom, the Public Defender’s Office, and the United States Student Association. I received my Bachelor of Arts in Political Science: Law and Society at the University of California Riverside. During my time there, I fought with students on a state-wide and national level against de-funding education and the student-to-prison pipeline. Through these experiences I saw how the justice system worked first hand, and was inspired to fight for those who have faced adversity in that system. I am grateful to have the opportunity to work alongside such dedicated and selfless people. Like most, as soon as I learned about the California Innocence Project (CIP) I was compelled by it. CIP brings hope to those burdened by the system, reunites families, and goes well beyond the call of duty to fight for the innocent. I hope to continue to make a difference in the criminal justice system through my work at the California Innocence Project and look forward to helping the wrongfully accused one day regain their freedom. Hello, my name is Amy and am a second-year student at California Western School of Law. My parents immigrated to the United States during the Vietnam War. I was born and raised in Yuba City, California and am the youngest of ten children. I received my Bachelor of Science in Criminal Justice and a minor in Sociology from Sacramento State University. Before attending law school, I interned for the Yuba County Public Defender’s Office. During the jail visits I attended, I witnessed the powerlessness of those who had been incarcerated. Wrongful convictions hurt the whole community in ways that are unimaginable to those of us who are lucky enough to not experience it. It is my goal to use my education to help those who do not have the resources to navigate the system. I hope you will join me in the fight for justice and make a donation today! 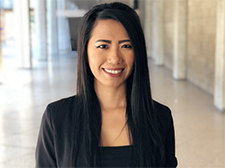 My name is Elika and I am a second-year law student at California Western School of Law. I was born and raised in San Diego, CA and received my Bachelor of Arts Degree in Philosophy from UCLA. My interest in studying law was sparked when George Zimmerman was acquitted after the killing of 17-year-old Trayvon Martin. From that incident, I felt a personal responsibility to learn the mechanics of our justice system for the sake of preserving its integrity. This personal responsibility compelled me to perform my own research on the historical context of the deficiencies within our legal system. 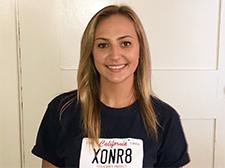 I joined the California Innocence Project to expand my knowledge of criminal justice and make a tangible effort to reform the system as I begin my legal career. I am excited to participate in the Innocence March in Sacramento, CA and assist CIP in its fundraising efforts for the exoneration of innocent people. I will also continue to demand the attention of those who have the authority to change the reality of wrongful convictions within our criminal justice system. I am grateful to those who have started this work to change the lives of those wrongfully convicted, and I am honored to be a part of this movement to reform our criminal justice system. Hello! My name is Ani Nalbandian and I am a second year law student at California Western School of Law. I first learned about the California Innocence Project when Brian Banks was exonerated in 2012. As a competitive athlete, I could appreciate the significance of Banks’ loss when his potential hall of fame career in football was destroyed by the perjured testimony of one person. Six years later, I am now fortunate to find myself on the same team that freed Banks from wrongful incarceration. I am inspired by the continued passion that CIP’s zealous advocates have for their clients, and am confident this organization will continue to correct injustices in the legal system. Please donate today support the California Innocence Project and make a dream come true! Hi, my name is Dakota and I am a second-year law student at California Western School of Law. I grew up in Seattle, Washington, until I traded in the rain to attend college at the University of Arizona. I received a degree in Psychology and volunteered with several criminal justice agencies. During my undergraduate education, I became interested in the vast world of wrongful convictions; I started researching wrongful conviction cases from all over the world to better understand the faults in our criminal justice system. Through this research, I learned of the California Innocence Project. Since learning of the Innocence Project, I strived to be a part of the organization, and I feel so privileged to now be making my contribution. My goal is to advocate for the innocent who are incarcerated and give them back the freedom they lost. 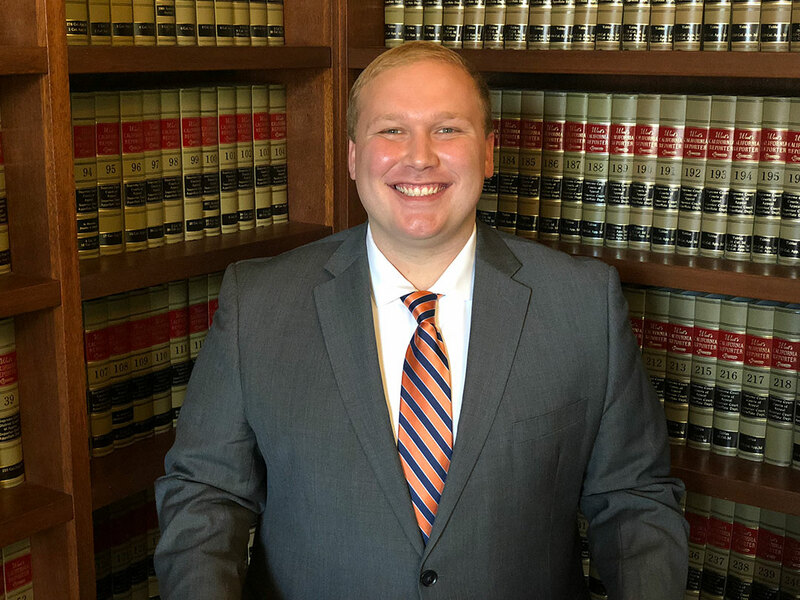 Hi, my name is Matt and I am a second-year law student at California Western School of Law. I am originally from Covina, California, but have lived in San Diego for eleven years now. After serving four years in the Marine Corps, I attended San Diego State University where I majored in Psychology. I previously had a career in Purchasing, but decided ultimately to pursue a career in Law like I have always wanted. During my first year at Cal Western, I learned of the California Innocence Project and was amazed at some of the stories that came out of it. I knew as soon as I heard Justin and the former interns speaking so passionately about the Innocence Project that I wanted to be a part of it and do whatever I can to help free wrongfully convicted persons. I can’t wait to tell my daughter stories of my time at the Innocence Project when she’s older, as well as my Corgi when they finally invent a dog translator. Hi, my name is Ash and I was born and raised in the greatest city on Earth aka San Diego, California. I was an English major at UC Santa Barbara. The main reason I chose to attend Cal Western was because of the California Innocence Project. In my opinion, there is nothing more important in this life than freedom. The idea of going to prison for a crime you did not commit is the epitome of injustice. I am so proud to be a part of an organization that does the most honorable work in the legal profession. I look forward to a year of incredible experiences with the CIP staff and my fellow interns.